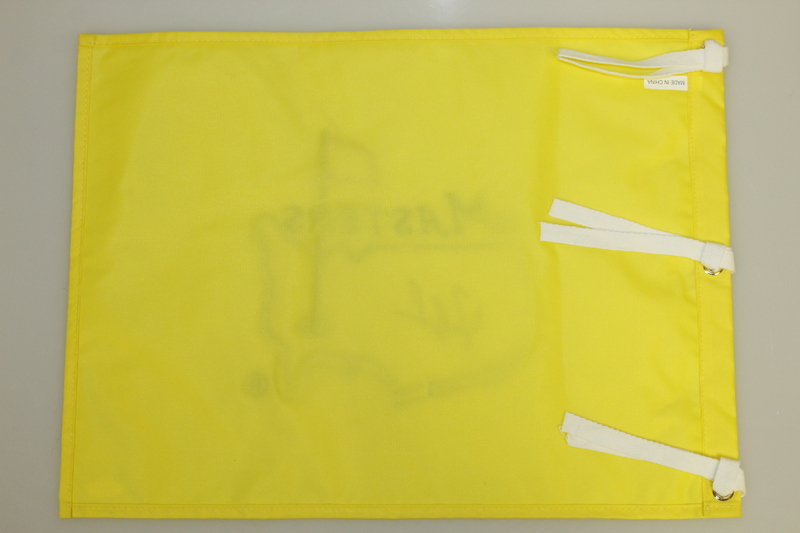 Here we have an undated Masters Tournament embroidered flag signed by Fred Couples. 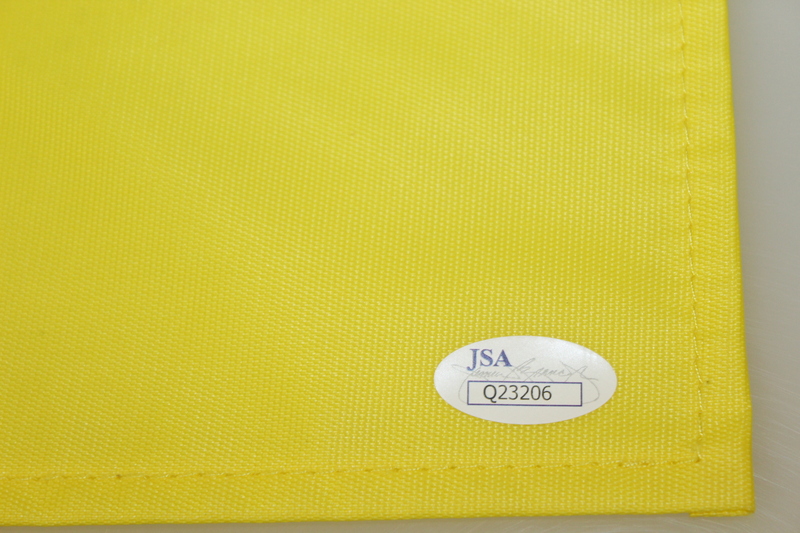 His signature comes with JSA authenticity #Q23206. 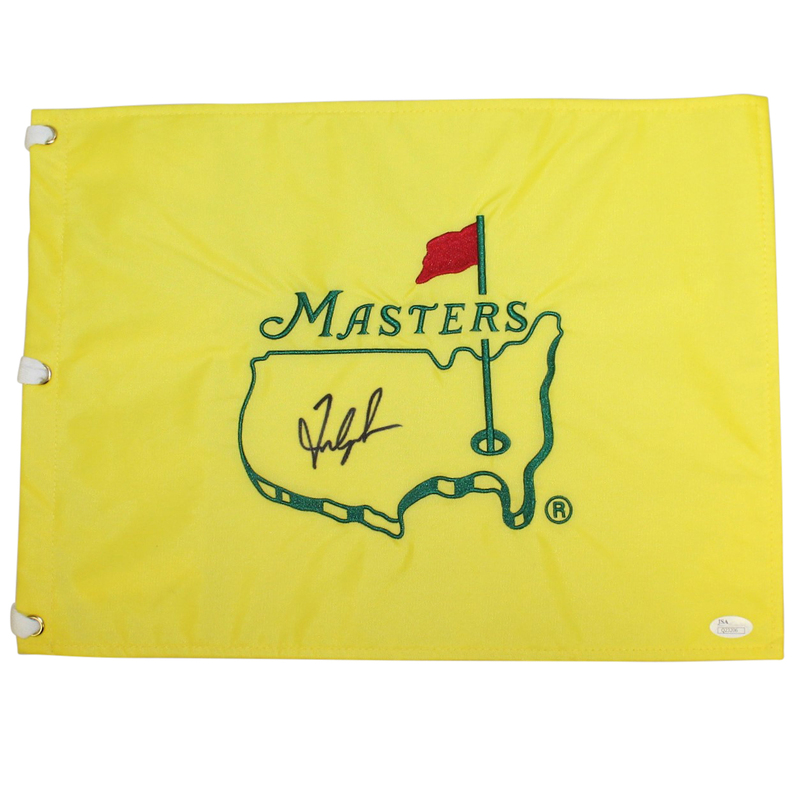 Undated Masters flags are hard enough to come by, but adding a signature from a past Tournament winner makes this even more of a find. 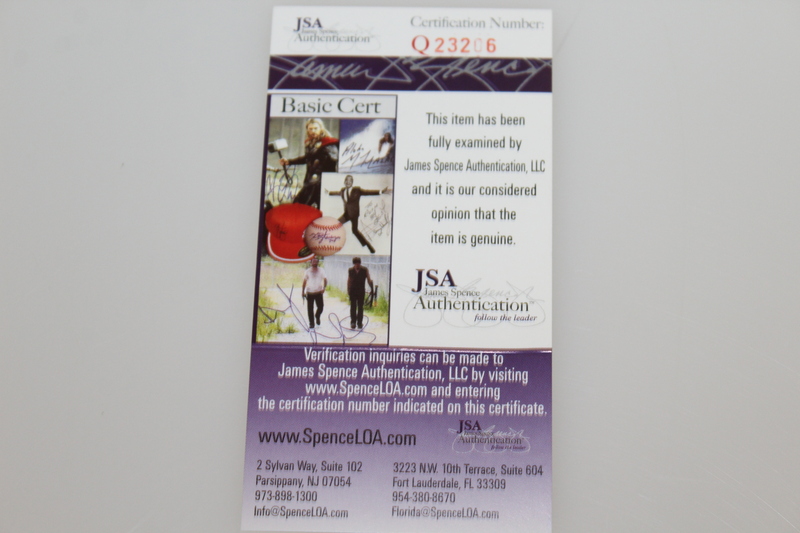 Couples won the 1992 Masters, his lone major championship, finishing two strokes ahead of 1976 winner Ray Floyd.